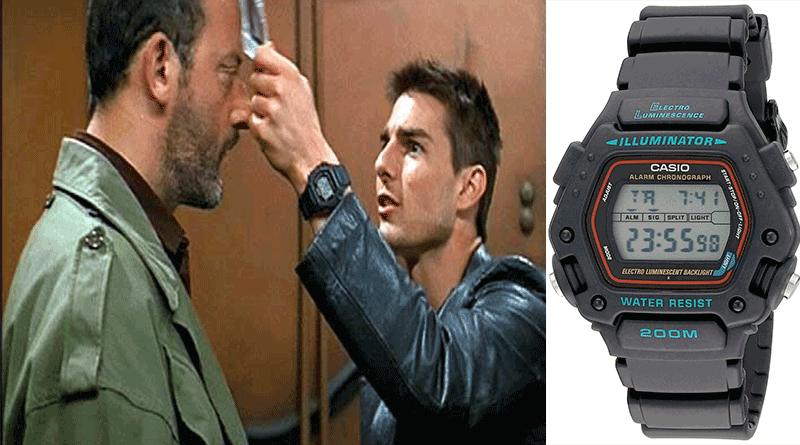 Today on Big Screen Watches we throw back over two decades for the fans of the whole Mission Impossible series who evidently really want to know what watches Ethan Hunt, played by our favorite Scientologist before we really knew he was one, Tom Cruise, was wearing on his wrist. Here at Twentytwoten.com we want to know what you, the readers and contributors, want to see on the page. A reoccurring search string that took us a little by surprise is “Mission Impossible Watch Casio“. A search that wasn’t returning any results…until now. 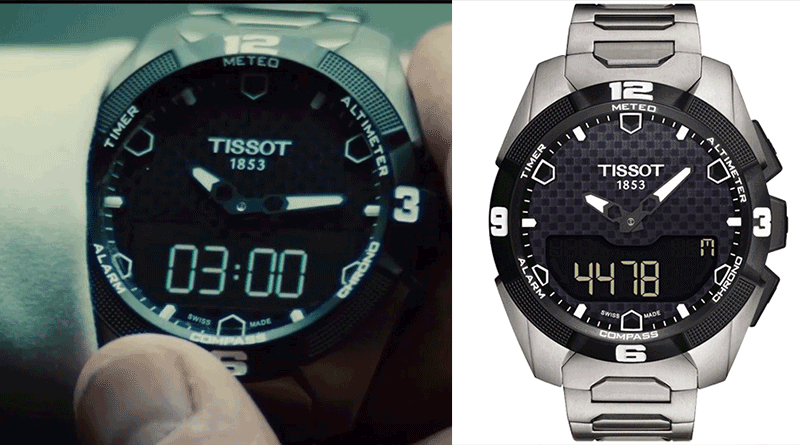 Take a look at the evolution of Ethan Hunt‘s watch collection from the first Mission: Impossible (1996) to the latest Mission: Impossible – Rogue Nation (2015) which is currently ranking a whopping 93% on Rotten Tomatoes. Now this one is a bit different. 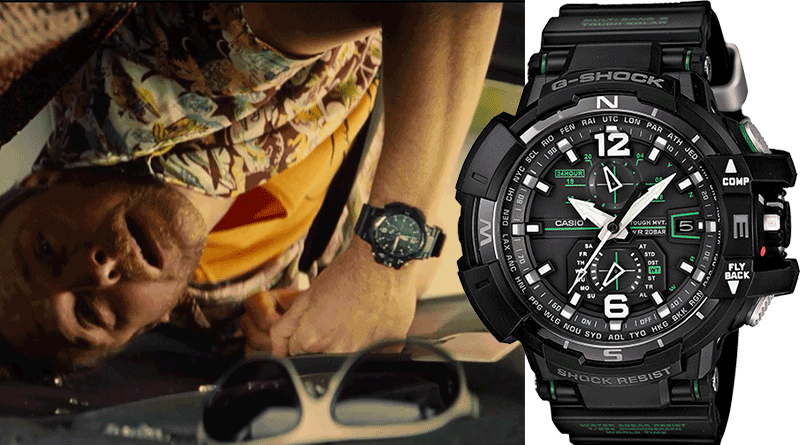 In 2015’s Mission: Impossible Rogue Nation, we don’t recall seeing Ethan Hunt wearing a watch at all. 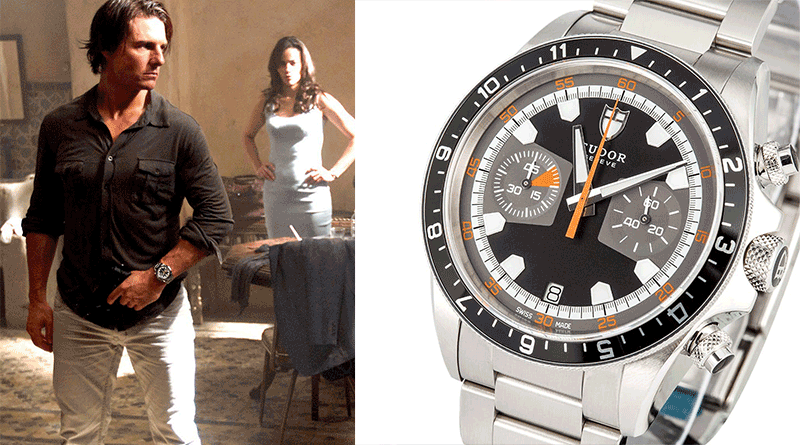 The focus on wrist-wear in this installment lies squarely on Simon Pegg’s character Benji Dunn who has a back-to-back scene with two different watches. Twentytwoten.com have also heard that Mission: Impossible VI is set for a 2018 release from Paramount Pictures, so stay tuned for more watch spotting!